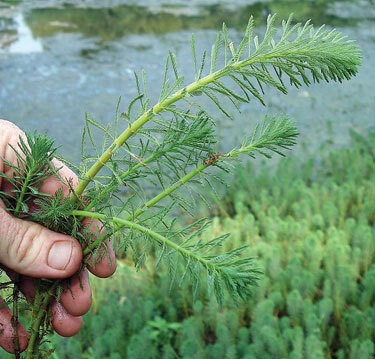 A new study points to climate change as the reason invasive species are on the rise in European waterways. Researchers in Ireland looked at the global distribution of 15 plant species over the past 69 years and found that some of those plants are spreading into new territories as the climate becomes more suitable to them. The problem? When new species arrive, they can out compete the native plants and change the ecosystem. Often the change leads to fewer species, which means less biodiversity. The health of our planet and the resources humans rely on depend on biodiversity. Both climate change and loss of biodiversity are critical problems facing the world today, and this study provides a clear example of how the two are interlinked. Normally, those plants would die off when winter comes and temperatures plummet, but a rise in average temperature allows them to thrive all year long and possibly take over new territories. What does this have to do with the ocean? Marshes, rivers and streams are nursery grounds for many aquatic species, including those that live in the oceans. Changing waterways and wetland habitats could have a negative effect on the ability of those animals to reproduce or grow to maturity. Also, the problem isn’t unique to European waterways. Climate change is happening in the oceans, too. Average ocean temperatures are rising. Warmer water not only threatens corals and other species that can’t move to cooler areas, but it allows invasive species to expand into new territories just like it does on land. In some cases a change as small as one degree is all it takes. Read an article about impact of global warming on marine invasive species from the journal Ecology.